Paul MacCotter MA, PHd, M.A.G.I. Special interests: pre-1850 genealogy, land records, yDNA and surnames. Dr. Paul MacCotter is a native of Cork City, where his roots can be traced back to the late eighteenth century. 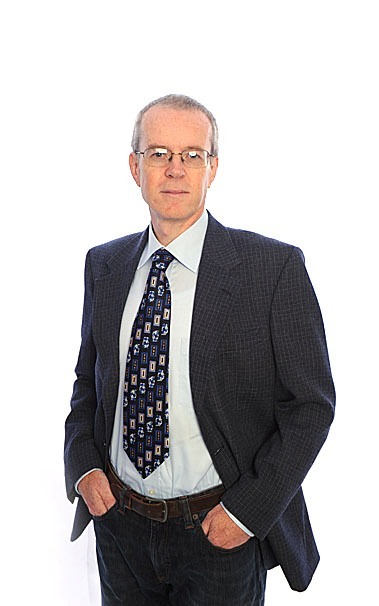 Dr. Paul MacCotter obtained his MA in 1994 and his PhD in 2006 in University College Cork. These were for work in the areas of medieval history and genealogy. He has worked both as a genealogist and medieval historian for many years, and has published papers in various journals, such as Irish Genealogist, Irish Roots, History Ireland and the online ezine, Irish Lives Remembered, therefore covering the entire gamut of Irish genealogical publications from the popular to the academic. His dual background ably equips him to provide a professional service in all areas of genealogy, and MacCotter also teaches genealogy at community and university level. His interests span the entire gamut of Irish genealogy, from yDNA studies to the history of surnames and clans. Dr. MacCotter is an accomplished conference, seminar and local history speaker, and teaches in University College Cork and the University of Limerick, and is a regular conference speaker in Trinity College, Dublin. In addition to his interest in genealogy Dr. MacCotter is one of Ireland’s leading historical geographers, and has published four books and several dozen journal articles in peer-reviewed academic journals. He blogs regularly on the subjects of Irish genealogy and Irish history. For a list of his publications see http://www.paulmaccotter.com/publications/, and for online versions of many of these http://ucc-ie.academia.edu/PaulMacCotter. As well as being a member of , Dr. MacCotter is a member of the Irish Genealogical Research Society and of the Association of Genealogists (APGEN).